Our fascination with copying famous features has reached an all-time high. The #kyliejennerchallenge has over 176,000 posts on Instagram, and brow pencil sales have skyrocketed ever since Cara glided down the runway in 2011. For the most part, it’s fun to switch up your beauty routine to look like your fave celebrities, but what about a more permanent way to achieve your desired look? We’re taking a look at the pros and cons of tattooed makeup. First up: brow enhancement. This is a relatively simple procedure that takes about 40 minutes with minimal recovery time. Small lines that mimic your natural eyebrows are feathered in to bulk up thin brows or fill in patchy areas. However, Toronto-based dermatologist Dr. Lisa Kellett says that this is the most common tattoo makeup she’s asked to remove, with discoloration or incorrect placement being the culprit. Kellett says she’s seen it all from “the eyebrow [turning] red or blue” to the new eyebrow being above or below the natural brow or just simply not being symmetrical. Even if the technician gets it right initially, that doesn’t mean it will look that way in five years. Kellett warns that as your skin matures, so does the colour of your natural pigment. This type of colouring issue is also a huge concern when getting permanent makeup on your lips. The lip liner tattoo is applied with essentially the same technique you use when you overline your lips with a pencil; it just does it with a tattoo gun. It sounds scary, but most women report that it’s not overly painful and the results can last up to 10 years. The whole procedure takes about an hour, and the swelling and chapping that follows last up to 10 days. NBD. 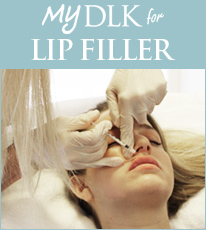 The outcome is a fuller-looking lip with an enhanced colour of your (and your technician’s) choosing. However, if you’re prone to cold sores, Kellett warns that this procedure can result in increased chances of infection, so it’s off limits. Tattoo eyeliner is popular (and has been for a while) as it’s obviously a huge time-saver. But aside from the panic of just thinking about a tattoo gun getting that close to our eyes (it’s hard enough having someone else apply mascara! ), Dr. Kellett says this is the trickiest form of tattoo makeup to remove. She suggests trying “temporary tattoos” first to get a better picture of what you want before you get something done that you may never be able to reverse. One of the riskiest parts about getting tattoo makeup is “you won’t know if you will have a problem until you have [one]” explains Kellett. She says that you could have a “foreign body reaction to the tattoo,” meaning your body will reject it, which can lead to inflammation or scarring. We can definitely see the benefits of waking up looking ready to go, hitting the beach without the worry of makeup melting down our faces and cutting down our morning beauty prep, but is it that worth a permanent change? We can barely commit to a single lipstick shade for an evening, let alone using the same one for 10 years. Plus, what happens when thin brows are back? You may cringe at the thought now, but if fanny packs can come back, so can ’90s brows. Before committing to something permanent, make sure you’ve considered all the pros and cons and seek out a reputable tattoo artist. Don’t forget to view their work, both in photos and IRL. Once you’ve done all your research, the permanent solutions to your makeup woes are at your fingertips.